Product prices and availability are accurate as of 2019-03-19 12:13:59 EDT and are subject to change. Any price and availability information displayed on http://www.amazon.com/ at the time of purchase will apply to the purchase of this product. Chrome Molybdenum Blade with Precision Ground Cutting Edge. Rugged, Lightweight, Cast Aluminum Body with Durable Baked Enamel Finish. High-Leverage Ratchet Action for Smooth Cuts with Less Effort. 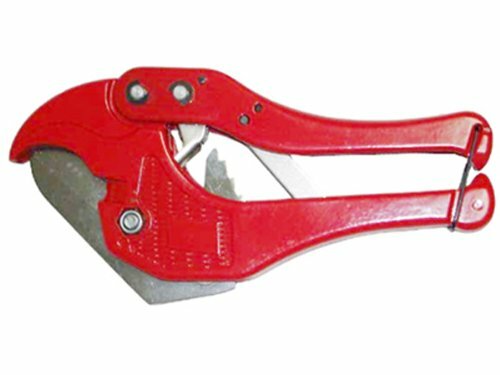 1-5/8-Inch Jaw Capacity. Cuts All Types of PVC and Plastic Pipes and Vinyl Tubing.